Horde players can earn The Honorbound reputation by completing the Horde War Campaign, doing World Quests in Kul Tiras (unlocked at level 120), follower missions, and quests. 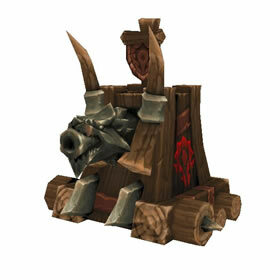 Second use: Fires the cannon, dealing 886 Elemental damage. These guys really ought to fight with their Alliance counterparts. Missed opportunity. It seems that you cannot use this horde pet with your alliance toon. Dissapointing, but no big deal I guess. The issue is likely if you were battling on an Alliance toon? For some reason, I can't use mine in pet battles on my Alliance alt. No issues on my Horde one! I haven't gotten the rep for the Ally counterpart to see if the same thing happens in reverse. Sort of a bummer, as I thought all pets were useable by all toons on your account, but I guess it's like the moonkin that came in Horde and Alliance versions. Okay, I've now leveled this guy to 25, and here are my impressions. Seems to be a tough pet. I know there's no stat for armor, but it seems he takes less damage then most. Hits like a tank, but is slow. Really have to watch it when you are battling pets with Dodge etc.. So I got this lil' guy after days of rep grinding with the honorbound,meanwhile getting 182 pet charms.I was able to get the last 12 from killing the 2 rares guaranteed to give you 10 Polished pet charms when you kill them.Looking forward to leveling this guy.I would have to say that I will go with Flame Shot,Shock and Awe and Extra Plating,basically making this guy a frontline pet. A mighty war machine of adorable proportions.